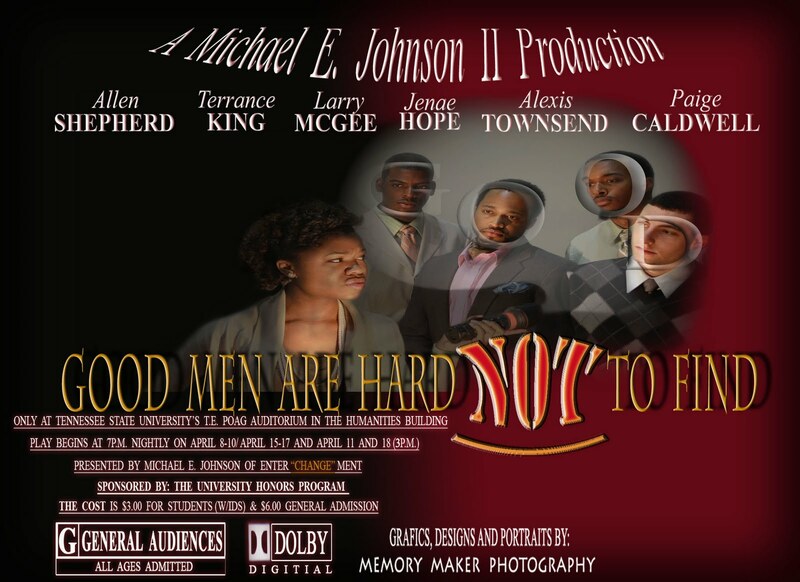 In a twist on relationships and single life – Michael E. Johnson II Productions presents ‘Good Men Are Hard NOT to Find’ at the TSU Poag Auditorium. Starting this weekend, at 7pm come out to the play. Tickets are $3 for students and $6 for general admission. Previous postFOOD: Jefferson’s Restaurant now open LATE for Midnight Breakfast! !